FILE - Edna Adan Ismail, founder of the Edna Adan Hospital in Somaliland. When she was a young girl, Edna Adan Ismail’s mother and grandmother circumcised her in a traditional ceremony while her father, a doctor, was away. That evening, he returned home, enraged at what had happened. “What have you done?” he asked Ismail’s mother and grandmother. Cutting the young girl, he said, was “haraam” — a sin. She was only seven or eight, but Ismail knew what had happened was wrong. The event, and her father’s reaction, would have a lasting impact. Years later, Ismail followed in her father’s footsteps, pursuing a career in medicine. She studied abroad and became a pioneer in health care in Somaliland, an autonomous region of Somalia. In 1965, the World Health Organization made Ismail the first Somali appointed to a senior civil servant position. She spent decades with the organization working in Somalia, Somaliland and Djibouti, and caring for patients from across the Horn of Africa, many of whom were refugees. In 1976, Ismail attended a health conference in Sudan that changed her next steps. Ismail, then a director in Somaliland’s Ministry of Health, had traveled with a team of doctors to learn about developments in the field. At the conference, Ismail heard, for the first time, people in a Muslim country openly discuss the harm caused by female circumcision, also called female genital mutilation, or FGM. For Ismail, the discussions were a revelation. Back home, talking about FGM, let alone its harms, was taboo. But Ismail knew there was another way. In England, where Ismail studied and practiced medicine, women weren’t subjected to FGM, and they gave birth with few complications. 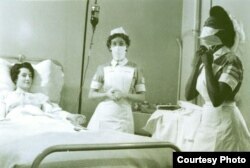 But Ismail didn’t believe the practice could be stopped in Somaliland, where she had returned in 1961 as the country’s first qualified nurse and midwife. Ismail knew the practice was wrong. But she couldn’t break through the silence. That changed after the Sudan conference, where doctors, nurses and midwives discussed the physical and psychological toll of the traditional practice. They shared steps that health care workers could take to lessen suffering. They made FGM defeatable. Ismail knew she could do more. She returned home and co-founded a group to eradicate the procedure. She also began speaking up. 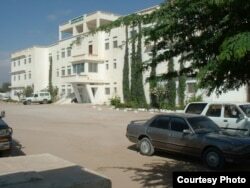 Ismail retired in 1997 and built a hospital a year later in Hargeisa, Somaliland, with her personal savings. The facility opened in 2002. “It was a natural thing to do,” Ismail said. Doctors and nurses at the facility, also a teaching hospital, treat patients from Somaliland, Somalia and Ethiopia. As a center for learning and caring, the hospital is “a symbol of what we need to do in our countries,” Ismail said. “I’m so privileged and so happy that I could also influence so many others and be an example for others to come back,” she added. After retirement, Ismail contributed in other ways. In 2003, she became Somaliland’s foreign minister, a post she held until 2006. Now in her 80s, Ismail continues to direct the hospital. But she knows there’s work left to do. “Little girls are still being cut,” she said. Often, it’s women — mothers, grandmothers, aunts — directly responsible for FGM, which 200 million women and girls alive today have experienced, the World Health Organization estimates. Legal mechanisms must also be used, Ismail said. Countries where FGM rates remain high have, in some cases, passed laws banning at least the most severe forms of the procedure, but enforcement is key. At her own hospital, Ismail has seen progress. In 2002, 98 percent of the women who delivered babies had experienced FGM. That number had fallen to 76 percent several years later. But Ismail isn’t satisfied. “Zero percent is what we want,” she said.